Last time I ordered my Everyday Minerals foundation I must have been feeling a little wild because I picked up matte blush samples in “pink for flower” and “at first”. I have never been much of a makeup girlie because I’m a lazy person, I can't be bothered to spend extra time in front of the mirror. I chose blush colours that were natural, nothing that popped in an Aunt Sally kind of way. My skin has a natural pink/red undertone so I have to be a careful not to go crazy. I know everyone wants to see makeup on the skin but I struggled to capture these blushers in all their glory. I went in a different direction and I hope these pictures will satisfy your curiosity. I describe both colours as true soft and subtle girlie pinks which mimic a natural flush. Everyday Minerals says: Pink For Flower - A sweet bouquet of soft hints of pink blossoms in a field of flowers. At First - Light, warm pink, will give you a rosy flush for any kind of weather. I order Everyday Minerals from cocktailcosmetics.co.uk and samples cost 30p each. You’ll find the full size blushes listed under Everyday Minerals Spring Blush Collection (£9.95 each). There are eight colours in the collection (including the two I have). I will definitely look to buy a full size when I next place an order. Both colours work for me and I am enjoying embracing my inner wild child. By the way, I am loving the Tinted Lip Butter in Sweet Secret (I mentioned it in a video) so check those out as well. 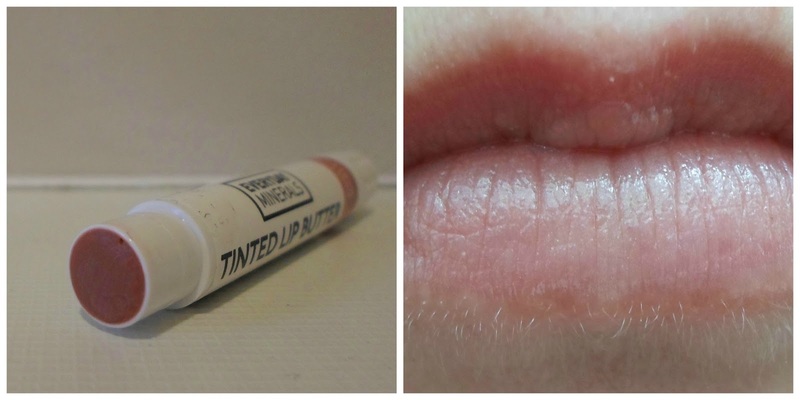 It gives a subtle hint of colour but the product is nourishing on the lips, not sticky but definitely buttery. Has anyone else tried these products? What are your favourite colours? The lip butter is really nice, nourishing and a hint of colour so best of two worlds. The price is what keeps me coming back, considering it gets shipped over from the US I'm very happy it remains affordable to me.